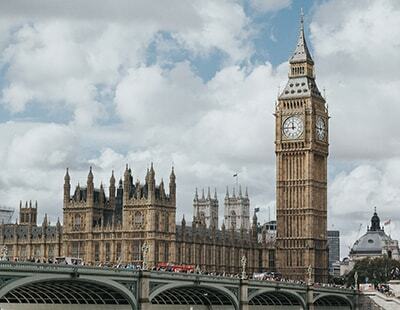 Lettings agents’ representatives have hit back at an accusation of discrimination made against the industry. 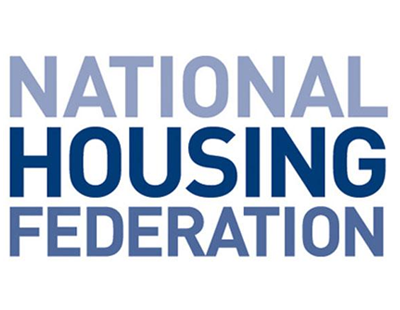 A report by Shelter and the National Housing Federation suggests that private landlords tend not to favour prospective tenants who receive housing benefit when given a choice - and in some cases are discriminated against. In an undercover investigation 149 regional letting agent branches were called by researchers posing as prospective tenants. These branches were from six firms - Bridgfords, Dexters, Fox & Sons, Haart, Hunters, and Your Move. The report claimed Haart was the worst offender with eight out of 25 branches having an outright ban on housing benefit tenants. Only Hunters was found to have no such ban in place at any office. But David Cox, chief executive of ARLA Propertymark, explains that this is a systemic problem with how housing benefit works, not discrimination. “Rents are paid in advance, whereas housing benefit is paid in arrears, and therefore with such a shortage of rental accommodation, landlords and agents will naturally choose a tenant who can pay the rent when it is due, rather than a tenant who is always a month in arrears” he says. Shelter and the NHF claim that under the Equality Act 2010, letting agents rejecting housing benefit tenants outright could be at risk of breaking the law because of indirect discrimination against women and disabled people. Polly Neate of shelter who earns £12,000 a month really has her finger on the pulse of how life works in the real world - NOT! As I have suggested on many occasions, these do gooders need to trial things before trying to slag off this industry! Polly, get yourselves some benefit tenants and report back in a year or so when your tenant is behind with rent and the council are advising the tenant to wait until eviction, see if your ideas are the same then! Yes radio 4. When you give these groups air time why not slip it in about the £12,000 Polly gets! Totally agree with you Jeremy. At least there are no claims in this story of Shelter being a charity. Agree dont want and wont have tenants on benefits in fact wont take on anybody who is supported by our corrupt and theiving councils. Any one who charges for a service that they dont provide a service needs shutting down. Our council's charge council tax on our properties that are empty due to being trashed by benefit evicted/ run away tenants. "Polly Neate, chief executive of Shelter, said: “This ugly undercurrent of discrimination is wreaking havoc on hundreds of thousands of people’s lives." No Polly it is you and Shelter that is wreaking havoc on hundreds of thousands of people's lives by driving good landlords out of the market and your support of S24. I note that you've taken the L&G logo off your web page with all your sponsors on it. Just too embarrassing for you I guess. The way this government and the Shelter et al lobbying activists are going anys erious long term landlords should be rubbing their hands together in glee. In 5 years there will be such a shortage of rental property as a result of recent policies that they will be able to virtually name their price. And really pick and choose the best tenants! What a joke of a organisation they are shelter in name only how many people do they house ? and it’s not housing benefit anymore it’s UC which has left me 1000s of pounds out of pocket. Shelter I will let my houses out to whoever I deem the safest option and won’t have a blag charity telling me what I can and can’t do. My prospective tenants have complete a ten page form. Most benefit claimants do not get past the first page, they are self eliminating. We recently had a letter from the Council claiming back 7 months worth of rental payments from a tenancy that ended 2 years ago as they had just uncovered benefit fraud and the Tenant was claiming benefit in another property. It's the council's systems and processes that are often the biggest problem when renting to benefit tenants, not the tenants themselves. Why would a Landlord choose to rent to a benefit tenant with risks like this? Do not repay the council. The tenant committed the fraud and legally the tenant has to pay. The council ask you to pray as the ready option. Hi David, thank you, we did challenge it and eventually won, but why would any landlord want the headache of this system? The housing benefit system is massively flawed and it's only getting worse with Universal Credit. Our company woke up to this issue a few years ago, the rule is that if a fraud was committed then whoever received the benefit money must repay it, up to 6 years later. As a result we tell landlords that we and they must NEVER accept rent direct from the benefits office, it must be filtered via the tenant. We also decline to accept a Council Bond as a deposit, we have heard too many stories of district councils not paying up. These 2 issues alone are enough to make us think twice about Benefits, but our 'discrimination' is more 'due diligence'. Some types of Benefits seem much less risky than others. We are constantly portrayed as greedy in numerous papers for taking millions of housing benefit. Even thou this is for rent. Due to low HB housing allowance these tenants are high risk backed up by a court system not fit for purpose and a council now informing tenants to exercise their right to remain. The landlords that use to operate in this market are getting out. S24 which shelter supports taxing a btl landlord to bankruptcy. Trashed properties and rent arrears which landlords use as quickest root to evict rogue tenants shelter are trying to remove. Shelter who are governments puppet and the government policies are the causes of massive increases for landlords exiting the benefits m arket.. I think (but not sure) that I disagree with you on one point Kathy. I don't think that Shelter are Government's puppet. I think both Shelter and Government are L&G's puppets. We used to let 80% of our property to applicants on benefits about 7-8 years ago, because the rent paid was level with market prices and was paid direct to us, plus the tenants were given the deposit and rent in advance by the Council. The only issue we had back then was the rent was paid 4 weekly rather than monthly, but most landlords were ok with this. This changed when, like Sarah above, we had a letter claiming back over payment for rent as the tenant was working but hadn't told us or the council, and of course it was ours/ the landlords fault. We passed this on to the landlord as we had paid it to him, he said he cant afford to pay it back and as the council had paid us direct, we had to pay back over £5000!!! Now with Universal credit, all benefits get paid direct to the tenant, and unfortunately, no landlord is willing to touch them because of the horror stories of tenants not paying the rent and the landlord having to wait until bailiffs turn up to kick them out. I know that is only less than 1% of tenants, but it is enough to put landlords off that rely on the rent money coming in regularly. The simplest and easiest way to encourage landlords to accept social tenants is for councils to pay the rent monthly, not 4 weekly, pay it direct to landlords and pay 6 weeks security deposit or even a bond confirming they will cover any losses the landlords occur, and crucially not claw money back from the landlords if the tenants is fraudulently claiming benefits . I believe landlords may even consider longer tenancies and slightly below market rent as, unlike employed tenants, there is no chance the council will lose their income and the landlord is guaranteed their rent. Councils also adopt the ill-advised practise of advising their clients not to vacate a property under the correct notices and to await an eviction notice as they would be seen to be making themselves intentionally homeless if they leave under a section 21 or similar. Even when the court has told the tenant to leave under a possession notice the Councils will still continue with this advice - do they really hold their practises above our judicial system in order to be able to tick a box on a form. This practise is widespread and against directives sent from government. A Landlord should not be forced into a costly and lengthy eviction under such "advice" from council workers that do not seem to understand or care about the ramifications of their actions. Furthermore Council Tenants should not have to suffer such terrible advice in order to continue to receive assistance. I have experienced the best and worst of Council tenants, but is there really any less risk involved in private rental? Government, Councils, Agents and Landlords need to pool resources to develop a sustainable solution with the best interests of everyone at the core, rather than basing housing legislation on knee jerk reaction to secure a new term in office. Polly is messing with everyone’s lives. We don’t want to be dictated to as to who we put in landlords houses. We ask the landlords (our clients) who they want in and guess what THEY DON’T WANT DSS. The councils pay in arrears, won’t discuss how the applications are progressing with us, want to pay the tenants directly etc. We have working people queueing up for rental houses, often offering to pay months of rent in advance. Get in the real world Polly, you are making it considerably worse and if you think there’s a problem this year wait until the fee ban comes into force next year. Don’t forget Polly, you created this huge issue so don’t go blaming all the agents for this humongous mess!!! I have emailed the Polly woman a link to this page/thread also sent it to her twitter account (no doubt run by a flash London agency!) so that she can see the amount of bad feeling that she has caused by her reckless and thoughtless actions. Let's see if she bothers to reply. I’ve told her many times myself but am met with a wall of silence. Where is the humanity in landlords? You're a privileged lot and you're making money from a basic necessity of human life: a shelter from the elements, a family home, the most important physical aspect of life comfort in every single human beings lifetime. You need to try harder in ensuring your tenants have good quality accommodation at all times and if you lose some money but are still profitable then count yourself lucky and privileged to serve your brothers and sisters and make a bit of dough on the side.